Are You Guilty of These Lawn Mower Safety Issues? Grass-cutting season is still in full swing, making this month as good as any to brush up on some basic lawn mower safety tips, especially where children are involved. Each year, a surprising number of lawn mowing injuries are reported, many of which involve young children and older kids. Remind yourself of these common lawn mower safety problems before heading out to cut your grass this weekend. While it might seem harmless enough to take your child out for a spin on the riding mower, this seemingly innocent activity could quickly turn into a horrible nightmare if your child were to fall off. Lawn mowing accidents can be particularly gruesome, especially when a large riding mower is involved. Best to play it safe and keep your kids away from the mower. Getting into those tight spots can be tricky without pulling your mower backwards, but this common mistake can lead to a serious injury. If you slip and fall while pulling your mower backwards, it could end up running over your foot or right on top of you. Keeping the control bar engaged with a piece of string or other DIY fix might seem like a handy solution, but it could easily result in injury. After all, it’s sometimes called the “bail bar” or “kill switch” for a reason. If you fall or need to let go of the mower for another reason, you want the blades to stop spinning automatically. But if you have the control bar tied back, your mower will have no idea you’ve stepped away from it. Accidents can happen in the blink of an eye, so take precaution and wear closed-toe shoes when operating any kind of lawn mower. 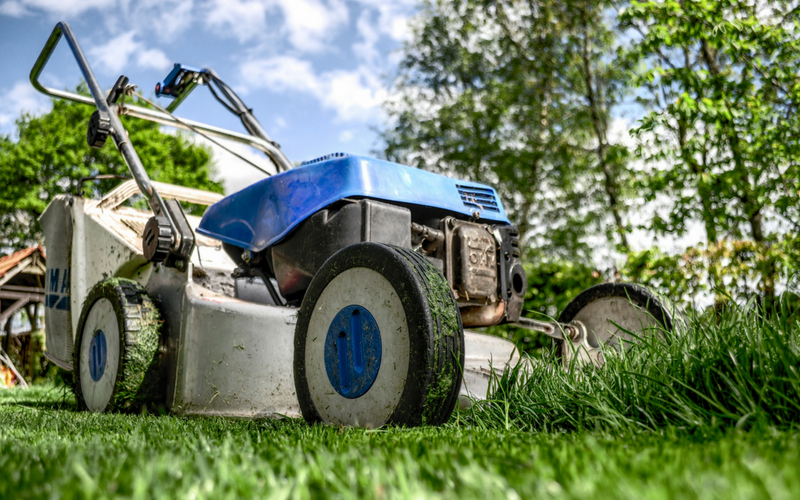 New Orleans-based physician Dr. Faust says that lawn mower cuts and injuries are even worse than being cut by a knife and other types of blades because the cuts are never clean and often lead to disfigurement.